It's going to be a busy year for the Royal Family in 2018! With a huge wedding, two great-grandchildren for the Queen and plenty of exciting events, it promises to be a memorable 12 months for Britain's most famous family. Westminster Abbey will host an annual multi-faith service in celebration of all Commonwealth countries. Last year, the Queen and Prince Philip attended, along with Prince Charles, Prince Harry and Theresa May. Prince William and Kate Middleton are expected to welcome their third child this month. Bookmakers are predicting that they will choose Alice for a girl, and Albert if it's a boy. The Queen will also host world leaders from over 50 countries at the Commonwealth Heads of Government meeting. She will also celebrate her 92nd birthday on April 21. Prince Charles will represent his mother at the opening of the Commonwealth Games on Australia's Gold Coast on April 4. It's royal wedding day on Saturday, May 19, as Prince Harry and Meghan Markle will tie the knot at St George's Chapel in Windsor Castle. They will then head off on honeymoon, before taking part in their first royal tour as a married couple overseas soon afterwards. The Queen's official birthday takes place on June 9, as well as the traditional Trooping the Colour celebration and fly-past over Buckingham Palace. Prince Philip will also celebrate his 97th birthday the following day. Prince William is 36 on June 21. Harry and Meghan are expected to spend part of their summer with Walking With the Wounded, of which Harry is a patron. It will feature wounded veterans walking 1,200 miles across the States. Meanwhile, Zara Phillips and Mike Tindall are awaiting the birth of their second child in the summer. Princess Beatrice celebrates her 30th birthday on August 8, so we're expecting some kind of big bash hosted by her parents Prince Andrew and Sarah Ferguson. Meghan Markle will celebrate her 37th birthday on August 4. On September 15, Harry will turn 34. Insiders are already predicting Meghan to announce her first pregnancy around this time. We'll all be on the lookout for a mini-bump. 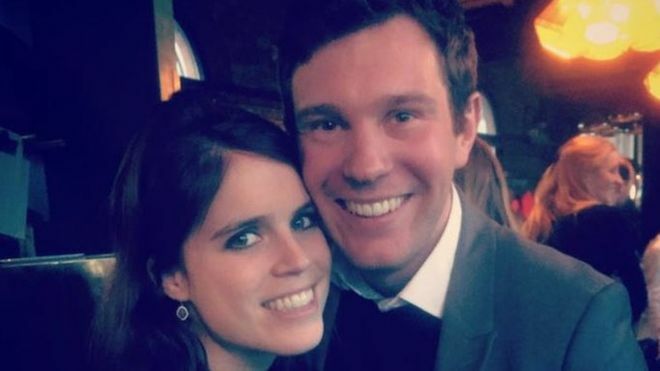 Princess Eugenie will marry Jack Brooksbank on Friday, October 12. Like Harry and Meghan, they will tie the knot at St George's Chapel in Windsor Castle. The Invictus Games will take place in Sydney in October, and we're expecting Harry and Meghan to make an appearance. World Mental Health Day takes place on October 10, which Harry, Meghan, William and Kate are all likely to be supporting on the day. Prince Charles will turn 70 on November 14. Like the Duchess of Cornwall's 70th 18 months previously, they will likely celebrate with a gathering - potentially at Highgrove, the couple's Gloucestershire home. Royal festivities will take place as usual at Sandringham in Norfolk, and we can assume that the family will attend a Christmas Day morning service together. There will also be the traditional Christmas message from the Queen.